“The United States has a broad range of capabilities to defend against North Korea,” Retired Colonel Rob Maness, who served on the Joint Chiefs of Staff and was the Vice Commander of the Air Force’s largest airborne intelligence wing, told American Military News. J.D. Gordon, a former U.S. Navy Commander and Pentagon spokesman, thinks that keeping a watch on North Korea is essential for the security of the U.S. and its allies. At least two of the missile variants North Korea is developing, the Musudan and KN-14, potentially have the range to reach the mainland United States. North Korea has at least six launchers missiles, but apparently they have not yet tested them. The age of several of the aircraft keeping watch over the northern side of the Korean Peninsula is surprising to some. The tried-and-true U-2 is still being used to keep a close watch on the activities of South Korea’s rambunctious neighbor. Some single-pilot missions are over eight hours long, and performed daily. 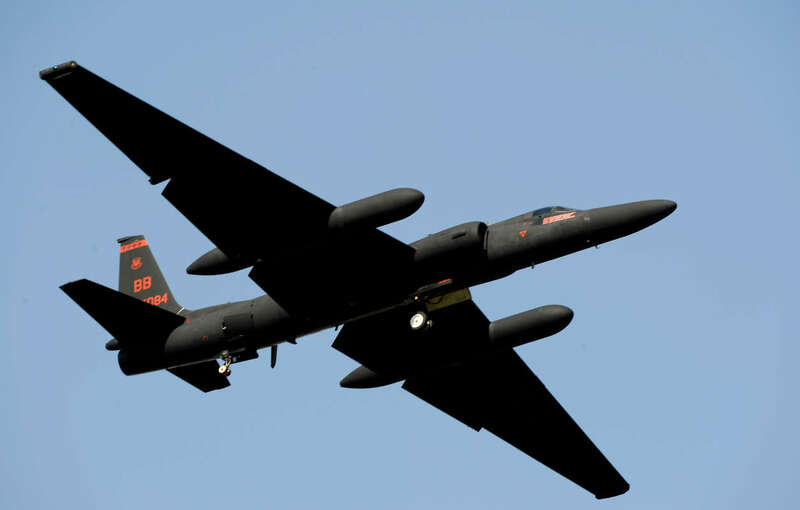 The U-2 Spy Plane, as old as it is, is still being used in service on the Korean Peninsula. The aircraft began its service in 1957. Designed by Lockheed Skunk Works, the craft is used in high-altitude overflight missions for up to eight hours per day. The U-2 remains in front-line service more than 50 years after its first flight with the current U-2 beginning service in 1980. This is due primarily to its ability to change surveillance objectives on short notice, something that surveillance satellites cannot do. The U-2 outlasted its Mach 3 replacement, the SR-71, which was retired in 1998. A classified budget document approved by the Pentagon on December 23, 2005 called for the U-2’s termination no earlier than 2012. With some aircraft being retired by 2007, however, the U-2 is actively being utilized on the Korean Peninsula for daily missions over the north. 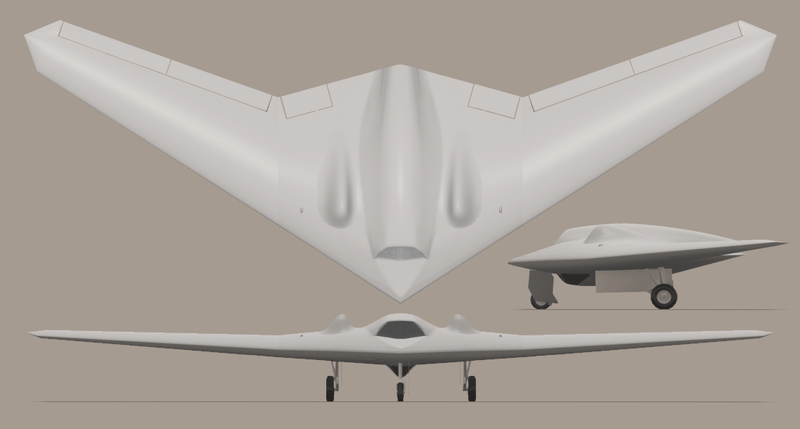 But in 2010, the new RQ-170 Sentinel began replacing the aging U-2 in some cases. Lately, as America’s military technological might increases, the use of unmanned aerial vehicles (UAVs) has increased as well. 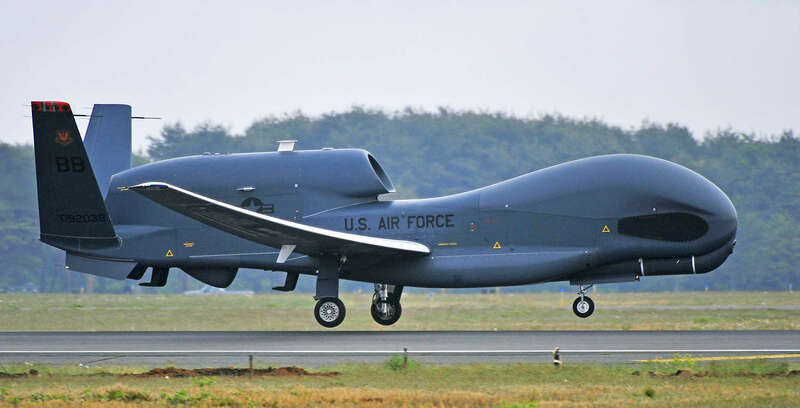 Some of the ultra high-tech aircraft being used include the new RQ-170 Sentinel, which looks like a smaller version of the B-2 Spirit Bomber, and others such as the “Global Hawk” (pictured below). The U.S. Navy’s aging P-3 Orion fleet is beginning to be replaced by the new Boeing P-8 Poseidon, an altered Boeing 737-800. 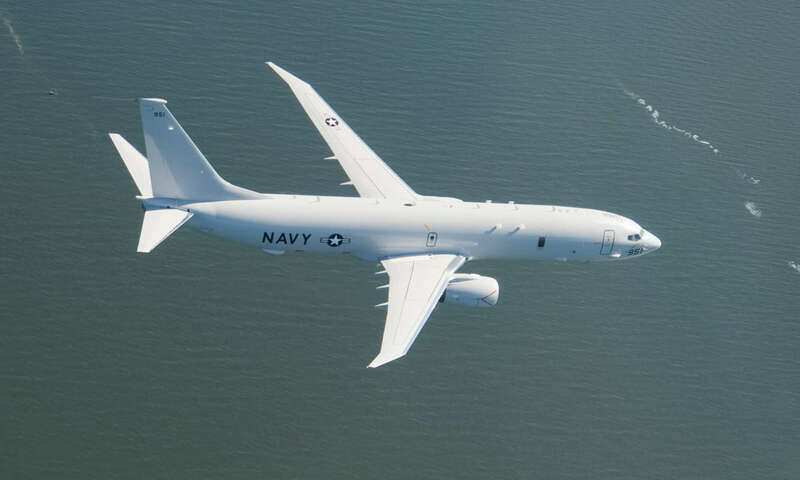 The Boeing P8 Poseidon, which is a heavily modified Boeing 737-800 (one of the newest generations of the 737, which is normally used as a commercial airliner), is a military aircraft developed for the U.S. Navy. The aircraft was developed by Boeing Defense, Space and Security. The Poseidon is capable of performing Anti-Submarine Warfare, Anti-Surface, and shipping interdiction. Additionally, the P-8 performs EWSP (Early Warning Self Protection) missions. 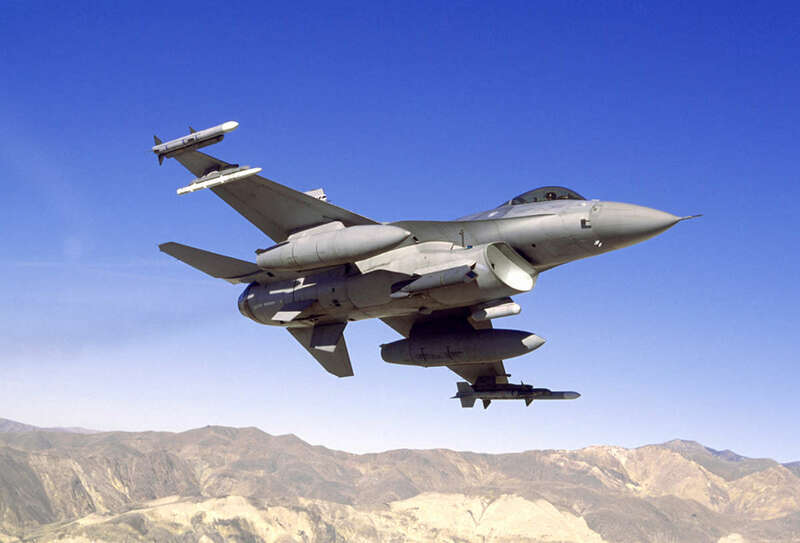 Along with large-body craft, the USAF and USN both employ high-tech surveillance, jamming, and other countermeasures from tactical aircraft such as the F/A-18, F-16, F-15, and the new F-35. “If the United States has the political will, and I believe we are on the right road, we will re-establish nuclear deterrence on North Korea if we continue to demonstrate all of our military nuclear and conventional capabilities in ways short of war such as deploying the THAAD missile defense system quickly and showing strategic strength through force posturing and positioning,” Col. Maness, Ret. told American Military News. North Korea is likely one of the most actively monitored locations on the planet, based solely on America’s surveillance of the region. South Korea and Japan have their own active assets, their own large fleets of spy craft that compliment our mission as well. Regardless of Pyongyang’s next move, it’s clear that the Pentagon has a solid handle of what’s going on in the northern side of the Korean Peninsula.